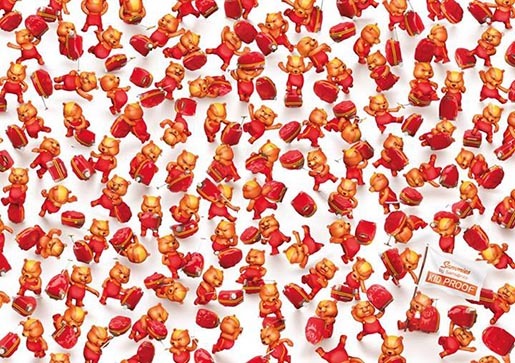 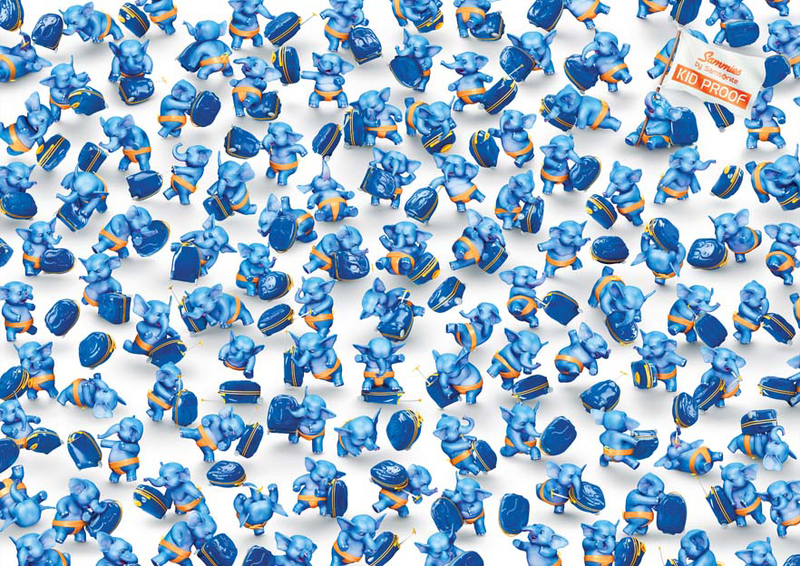 JWT Shanghai earned two Gold Press Lions at Cannes International Festival of Creativity for “Sumo Elephant” and “Wrestler Bear”, two imaginative print executions that bring to life the durability of Samsonite’s Sammies’ Kids range of suitcases. 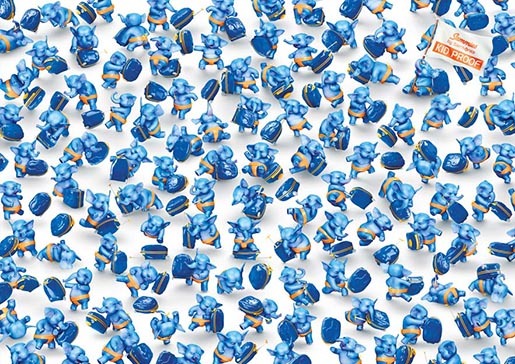 These suitcases come embossed with cute elephant and bear motifs. 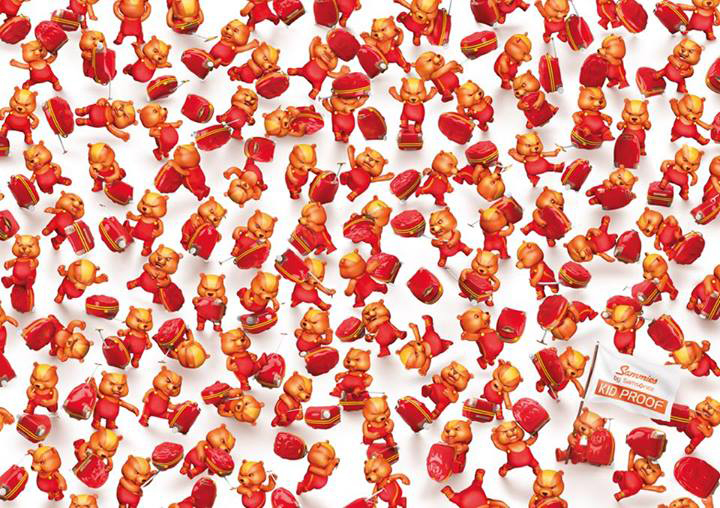 JWT Shanghai used these two adorable characters in the ads, portraying them as mischievous and rascally kids who put the suitcase through all the torturous treatments imaginable. 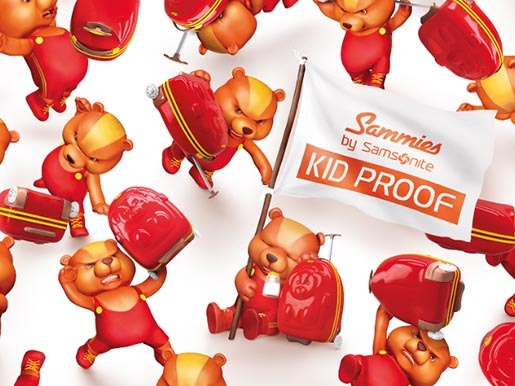 Sammies emerges the victor, with the exhausted kids waving a white flag, reading “Kid Proof”. 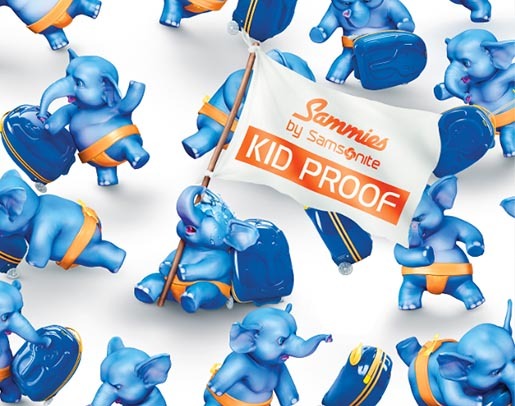 The Sammies Kid Proof campaign was developed at JWT Shanghai by executive creative directors Yang Yeo and Elvis Chau, creative director Rojana Chuasakul, copywriter Jun Qian, art director/illustrator Komson Yamshuen, art buyers Liza Law and Isaac Xu, account supervisor Dana Ho, with retouching done at Visionary Group, Bangkok.